Gardening is a rewarding hobby. Getting your hands dirty, understanding the work and patience that goes into food production, and tasting the difference in homegrown produce is both a humbling and gratifying experience. Plus, you can’t get food more local than your own backyard. Spring is an especially exciting time of year for gardeners. Dusting off tools, checking bed structure and planning out rows of fresh greens are all part of the fun. However, the true magic really happens when these spring chores are shared amongst a community. Shared garden spaces cultivate stronger relationships between neighbours, instill pride and ownership in communities, and inspire people to learn new, rewarding skills. They also promote biodiversity, create habitat for pollinators and support healthy, sustainable lifestyles. Not bad for a bit of dirt! Size: How much do you want to grow? What is your commitment level or time budget for gardening or volunteer hours? Do you need to have your very own space, or is sharing an option? Location: Is the space easily accessible for you to maintain a watering and maintenance schedule? Can you get to the garden on foot or bike, or will you need to use a vehicle or public transit? Access: Does the garden supply tools, water and storage space? Can you freely access the garden on your own time or is there a schedule? What other resources may be available (books, people, etc.)? 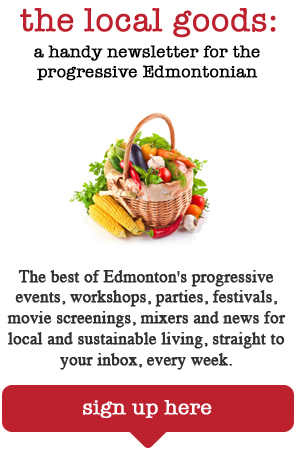 Community Gardens: There are over 80 community gardens in the Capital Region co-ordinated and supported by Sustainable Food Edmonton (SFE) and the City of Edmonton. Finding the site nearest you is super simple on the SFE Community Gardens Map, where you’ll also find information like membership fees and requirements, plot size, tool availability and gardening style. In most cases, you will have your own plot or portion of a bed to plant what you wish, and will be responsible for maintaining it on your own (though other members may be happy to help, if you ask). Contact garden co-ordinators to inquire about becoming a member, or if the opportunity is right, blaze a trail and start your own garden with your neighbours! Volunteering: Volunteering is a fantastic option if you’re new to the world of gardening or want to get more involved in the community. Learn the basics of planting, fertilizing, maintenance and harvest from experienced gardeners and farmers, then later apply it to your own plot. Check out the University of Alberta’s Green and Gold Community Garden, the Edmonton Horticultural Society, Operation Fruit Rescue Edmonton, Prairie Urban Farm or Sustainable Food Edmonton for opportunities to get involved year-round. No matter what path you choose, participating in a shared garden space is sure to improve your season. Set yourself a new goal this summer (maybe planting something you’ve never tried or going organic? ), and let your fellow gardeners help you reach it. Get to know your neighbours, share produce and teach each other. After all, it’s not just vegetables growing in these shared garden spaces. Hello Elyse, is there a number or email I can reach you at? thank you.